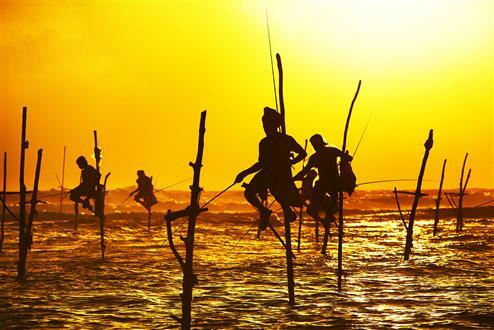 Sri Lanka is land of contrasts, rich in culture, with a colourfully expressive people and a vibrant history, it is also a land of verdant forests, lush plantations and offers an abundance of flora and fauna. This tour takes you into the heart of Sri Lankan culture and its natural wonder, offering you the chance to feed baby elephants, explore Royal Palaces and ancient temples, and maybe sample some of the spices which have made this Island state such a magnate for traders throughout history. On arrival at the airport you will by greeted by your chauffeur guide and transferred to your hotel in Negombo. Enjoy the rest of the day relaxing at the hotel. An early start today, after breakfast, travel to the Pinnawala Elephant Orphanage arriving just after 9am to witness the bathing and bottle feeding of the baby elephants. Pinnawala Elephant Orphanage â€“ Set amongst the verdant hills of Kegalle is a unique orphanage. This is the Pinnawala Elephant Orphanage, the world\'s first and only elephant orphanage established to feed, nurse and house young elephants lost or abandoned by their mothers. Other occupants are elephants displaced from their natural environs by development projects or those found wounded. Visitors can see the baby elephants being fed milk from gigantic feeding bottles or bathed in the river which flows nearby â€“ an unforgettable sight! Established in 1975, by the Wildlife Department and National Zoological gardens which subsequently led to a breeding programme through which more than twenty five elephants have been born since 1984. Afterwards, transfer to your hotel in Habarana. This morning you will visit the Sigiriya Rock Fortress, one of Sri Lankaâ€™s major attractions, and a UNESCO World Heritage Site. The most impressive facets of the unique complex are the Water Gardens, the Frescoes of beautiful maidens, the Mirror Wall with ancient graffiti, the Lion platform and the Summitof 1.6 hectares, which was completely covered by buildings during the period of Sigiriyaâ€™s glory. In the afternoon you will proceed to the medieval city of Polonnaruwa, another UNESCO World Heritage Site. Highlight are the Royal Palace complex including the Kings Palace and Audience Hall, the Quadrangle, and the spectacular Gal Vihare complex of four massive images of the Buddha, cut from a single slab of granite. The Temples of Shiva, intricate statues of Hindu Gods, fascinating Budhist temples, the Lankatileka and Watadage, the Galpotha, the Lutus bath, the Kiri Vihare Dagoba and the remains of a former Temple of the Tooth are other impressive sights. Later this afternoon, return to Habarana. After breakfast you will travel to Kandy, visiting a Spice Garden in Matale and the Rock Cave Temple in Dambulla en route. On arrival in Kandy in the afternoon, check in at your hotel and enjoy a cultural dance performance. Enjoy a full day in Kandy. You will take a tour of the Royal Botanical Gardens, followed by a sightseeing tour of Kandy including a visit to the Kandy Temple. There will be some free time for shopping and independent exploration of the sights that Kandy has to offer. After breakfast you will travel to Nuware Eliya, Sri Lankaâ€™s premier hill resort. En route you will stop off at Ramboda Falls, and as Nuwara Eliya is the heart of Sri Lankaâ€™s tea country, producing some of the worldâ€™s best teas, you will have the chance to sample them while visiting a tea factory/plantation. On arrival check in at your hotel before conducting a sightseeing tour of Nuwara Eliya. After breakfast proceed to Yala. Yala West National Park is located to the southeast of the island and is well recognized as one of the best parks in the world to observe and photograph leopards. There is also a substantial elephant population along with spotted deer, sambar, wild buffalo, sloth bear, jackal, mongoose, pangolins and crocodiles. The bird life comprises over 120 species, and ranges from lesser flamingos to paradise flycatchers, crested hawk eagles, and black bitterns. On arrival, check in at your hotel. This evening you will conduct a 4x4 Jeep Safari at Yala National Park. This morning after breakfast, you will travel to Galle, a UNESCO World Heritage Site. 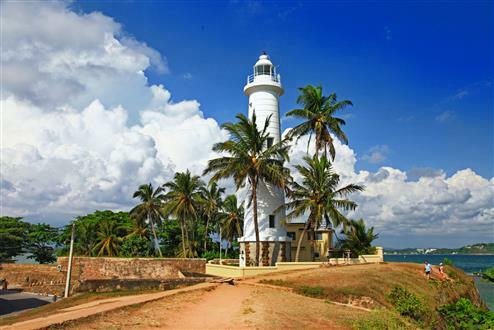 Enjoy a sightseeing tour of the city where the Portuguese first landed in Sri Lanka in 1505, including a visit to Galle Fort. Captured and fortified by the Dutch who ruled maritime Sri Lanka in the 17th and 18th century, the city still retains an air of old Holland with Old Dutch churches and well preserved Old Dutch houses. This afternoon you will continue on to Beruwela, where upon check in at your hotel you can relax at leisure by the beach for the rest of the afternoon. Tour ends. After breakfast checkout of your hotel and transfer to the airport in time for your homeward flight.